Bringing you all right up to date with everything ‘Voodoo’ related. After our album launch in April we have been busy getting ourselves noticed. 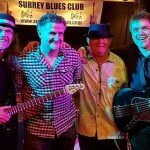 The Surrey Blues Club had a record attendance for the launch evening which we are very proud of. 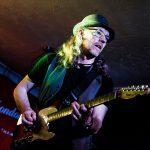 The CD ‘Voodification’ has been well received and has had favourable reviews including one in The Blues Magazine. Not only that but a track from the album has made its way on to the cover CD of said mag! The two support gigs with Laurence Jones were a real blast and we made some new friends and met some lovely people. 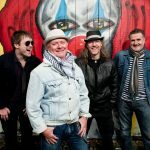 The Half Moon, Putney sees us reuniting with Laurence for another great evening of Rhythm & Blues on July 22nd. The rest of 2015 is looking good for The Sheiks too. 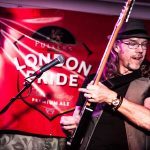 We have some great venues to play for the first time: The Cavern Freehouse, Raynes Park and The Tuesday Night Music Club, Coulsden to name but two. 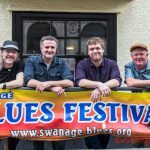 Plus we will be returning to The Old House, Dorking, The Poyntz Arms, East Molesey & The Swanage Blues Festival. 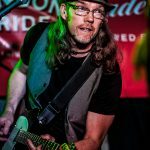 The Old Bush Festival, formerly The Bentworth Blues Festival, have invited us to play on August 23rd and to top it all off, Solid Entertainments have booked us to play at The Legendary 100 Club on Oct 13th. Here’s to a lively summer and beyond!